Shareholder analysis is the principal most desired analytical tool for investor due diligence. Whether you are a CEO of a company or an investment dealer, the information Targeted provides capitalizes on opportunity and is essential to a successful operation. Below is a chart that outlines the Investor Relations and CEO strategy for using Targeted ownership data. Below that there is a brief description of how Targeted data can be used by Investment dealers to maximize knowledge and profits. Identify a target group of 20-200 portfolios with the largest current ownership in your company and peer companies Monitor the effectiveness of your investor relations program - are managers actually buying and holding your company stock? Institutional Traders use Targeted data to trade blocks of stock by knowing the current owners of securities and by identifying current buyers and sellers by net change positions from previous holdings positions. The use of Targeted holdings data results in more blocks being traded and more commissions generated from these trades. Institutional Sales staff, in addition to using the data in the same manner as the traders, also need to identify the holdings of the portfolio manager accounts for which they provide coverage. They can also identify new portfolio manager accounts using Targeted data, which can generate new sales commissions. The sales and trading departments often work in adjacent physical spaces and are always seeking the most up to date and comprehensive institutional holdings information available. Research Analysts use Targeted when researching companies on whom they write reports and provide research coverage. Analysts need to know who the largest holders are for these companies and need similar information on peer companies. Research reports are sent to portfolio managers who own positions in the company being researched, both to brokerage firms' accounts and to attract new business from other fund managers. Research analysts are paid a significant portion of their compensation based on trading done by the institutional sales and trading departments and commissions generated in the stocks for which they provide research coverage. Corporate Finance personnel use Targeted data to identify the largest holders of securities for corporate underwriting purposes. They generate very large fees for assisting companies to raise initial public offerings and secondary financing capital. The institutional holdings information is used in the corporate pitch books prepared by corporate finance departments to compete for the large fees paid by listed companies for raising capital. 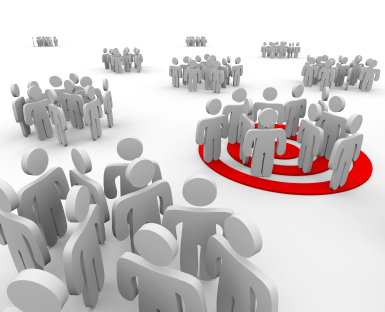 Syndication Staff use Targeted data to identify the significant owners of listed companies and their peer companies in the selling of initial public offerings and secondary equity offerings. Investment Banking uses Targeted holdings information to identify the largest holders of listed equities for mergers, acquisitions and other related activities. This department generates large fees for assisting companies in large securities sales and transactions.